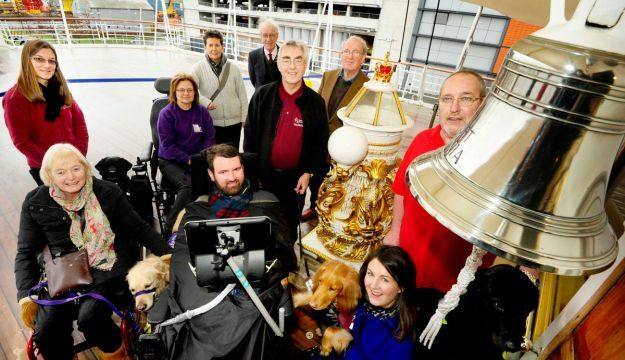 The Royal Yacht Britannia and Ocean Terminal in Edinburgh helped to lead the way in Accessible Tourism, hosting Scotland’s flagship event for the launch of the first Disabled Access Day on Saturday, 17 January, 2015. Euan and Kiki MacDonald, founders of the disabled access review website Euan’s Guide, the lead sponsor of Disabled Access Day, representatives from Hearing Dogs for Deaf People, Canine Partners, Guide Dogs Scotland and Dogs for the Disabled, along with their assistance dogs/puppies, and Malcolm Roughead, Chief Executive of VisitScotland, came aboard Britannia to officially launch Disabled Access Day. Activities included, the chance for the public to meet Assistance Dogs and puppies, with demonstrations and guided walks with the dogs, including Canine Partners, Hearing Dogs for Deaf People, Guide Dogs Scotland and Dogs for the Disabled. On Saturday 17th January, the Royal Air Force Museum London took part in the first ever ‘Disabled Access Day’ which was held at venues across the UK. The aim of this annual national event is to encourage people with disabilities, along with their family and friends, to visit a venue that they have not visited before. 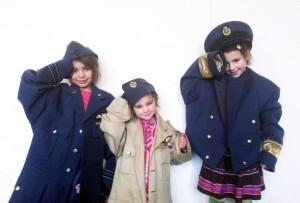 The Museum ran ‘Try On’ sessions, using Second World War RAF jackets and hats from the handling collection. Other items included a tin hat, an incendiary bomb and a gas mask for visitors to touch and wear. The day proved incredibly popular, with children and adults both enjoying the additional activities and there was a reported increase in the number of disabled visitors in the Museum overall. Other venues taking part included The Queen’s Gallery; Caffe Concerto; Cutty Sark; Hackney Museum; Hampstead Theatre; Houses of Parliament; London Canal Museum; St.Paul’s Cathedral; Tate Modern; Thames Clippers; Tower Bridge Exhibition and the Tricycle Theatre. The Museum is now looking forward to being involved in Disabled Access Day 2016! Eight businesses across the Peak District and Derbyshire will be at the forefront of a national marketing campaign to promote England as a leading destination for accessible tourism – now worth £3 billion to the national economy. Official tourist board Visit Peak District & Derbyshire is one of just seven leading destinations to secure a share in national tourist board VisitEngland’s ‘Access for All’ project, funded by a 125,000 Euros (almost £98,000) grant from the European Commission. All the businesses taking part – Chatsworth; Crich Tramway Village; East Lodge Hotel and Restaurant, Rowsley; Hoe Grange Holidays, Brassington; the Peak District National Park Authority’s Parsley Hay Cycle Centre; Peak Shopping Village, Rowsley and Rivendale Caravan and Leisure Park, near Ashbourne – will have the opportunity to promote and improve their accessibility as part of the project. 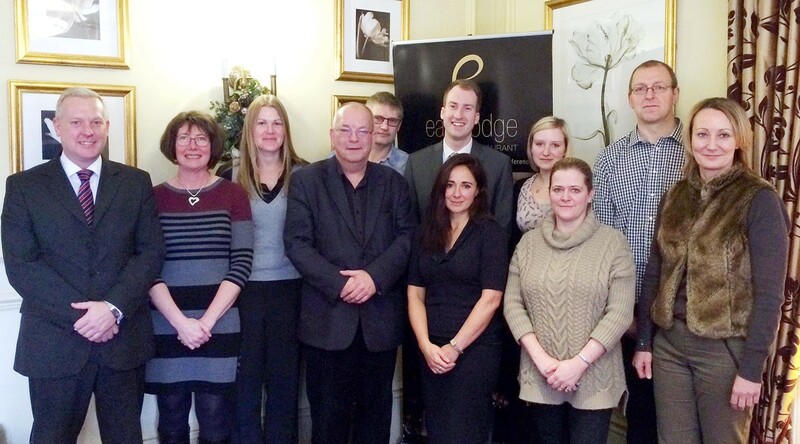 Their employees will have access to the very latest training to boost their skills, while an informative guide will showcase the warm welcome and wide variety of experiences all visitors – including those with access needs – can expect in the Peak District and Derbyshire. VisitEngland will also launch a national marketing campaign in the late summer and early autumn to promote experiences available for visitors with access needs and encourage more people to take a short break in England. “We’re delighted to have the chance to take part in this VisitEngland initiative, which will put the Peak District and Derbyshire firmly on the map as one of the country’s leading destinations offering accessibility to all,” said Lindsay Rae, Industry Engagement Manager at Visit Peak District & Derbyshire. “We already work with our Patrons, members and organisations such as Accessible Derbyshire to make people aware that much progress has already been made to improve accessibility to accommodation, attractions and activities in the area. Celebrating the launch of ‘Access for All’ at East Lodge Hotel and Restaurant, Rowsley, are (left to right): Iain Hardman, East Lodge Hotel and Restaurant; Felicity Brown, Hoe Grange Holidays; Helen Bowler, Parsley Hay Cycle Centre; Brian Seaman, Access New Business; David Brown, Hoe Grange Holidays; Ross Calladine, VisitEngland; Kat Jacquin, Peak Shopping Village; Hannah Lowe, VisitEngland; Vicky and Daryl Bonsall, Rivendale Caravan and Leisure Park and Sally Ambrose, Chatsworth. New research by VisitEngland reveals that the overnight accessible tourism market is now worth £3 billion to England’s economy, with day visits boosting the figure to £12.4 billion. Over the past four years, overnight trips by disabled tourists and their companions have increased by 19 per cent, with spending up by 33 per cent.